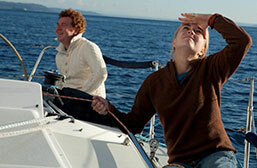 Learn from some of the most experienced sailors in the country at Seattle Sailing Club. We guarantee a great experience and the best instruction from our staff of seasoned sailors. Use our fleet of sailboats, ranging from 22 to 40 feet, as your own! 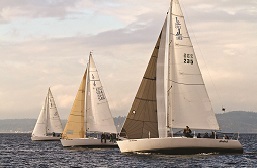 Club members enjoy all of our activities from group sails and destination cruises to weekly club races on the Puget Sound. 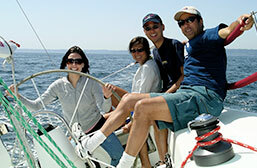 Teambuilding events at Seattle Sailing club occur in a safe and supportive environment while expanding comfort zones, promoting synergy, and bringing people together. 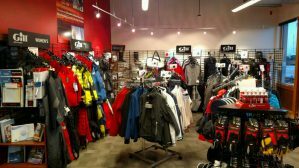 Our Pro Shop includes sailing & boating attire, books, navigation tools, personal floatation devices, and footwear. The brands we carry are the best manufacturers of foul weather gear and boating accessories. Seattle Sailing Club is the Fun Place to Sail and Learn!